“We go to great lengths to avoid it. And yet we do it all the same: We marry the wrong person,” writes the author and philosopher Alain de Botton. Married individuals may think that when there is no more love, there is no longer any meaning in staying married. At this stage, many individuals re-channel their time and energy from keeping their marriage going into ending their marriage, i.e. getting a divorce. Commencing divorce proceedings is not as complicated and difficult as it seems. Outlined below is the process of starting a divorce in just three steps. First, let’s get started on how to commence divorce proceedings with this short checklist. 1 Either spouse is domiciled in Singapore at the time of the commencement of divorce proceedings; or that either spouse is habitually resident in Singapore for a period of 3 years immediately before you commence divorce proceedings. 2 You have attended the Mandatory Parenting Programme if you have a child below 14 years old. As of December 2016, parents with minor children must attend the Mandatory Parenting Programme by the Ministry of Social and Family Development. The programme involves a 2-hour counselling session meant to encourage parents to prioritise their children’s well-being in their plans for the family’s future. 3 You have obtained permission from the court to apply for divorce if you have been married for less than 3 years. You can do so by applying for leave of court (i.e. permission from the court) to file a writ before 3 years have passed from the date of your marriage. · Exceptional depravity on the part of your spouse. 4 You are able to satisfy the court that your marriage has irretrievably broken down if you have been married for a period of 3 years or more. 5. that you and your spouse have lived apart for a continuous period of at least 4 years immediately before the commencement of divorce proceedings. 4. Assisting you with the administrative aspects of the divorce proceedings, such as ensuring that your documents are in the correct format and that you have paid the correct filing fees. You may choose to “act in person” and apply for a divorce without engaging a lawyer. However, you will not be exempt from the legal, procedural and formal requirements of conducting Court proceedings. A Statement of Claim – The Statement of Claim should state the fact/s you are relying on to prove to the Court that your marriage has irretrievably broken down and that the Court should, therefore, grant you a divorce. A Statement of Particulars – The Statement of Particulars should contain details of the fact/s you are relying on to prove to the Court that your marriage has irretrievably broken down and that the Court should, therefore, grant you a divorce. Proposed Parenting Plan – If you and your spouse have a child below the age of 21, you must file a Proposed Parenting Plan. You and your spouse must try to agree on the care arrangements for the welfare of the child and file an Agreed Parenting Plan if you and your spouse have managed to agree on the said care arrangements. Proposed Matrimonial Property Plan – You must file a Proposed Matrimonial Property Plan if there is a Housing and Development Board (HDB) flat to be divided between you and your spouse. A Proposed Matrimonial Property Plan is a plan setting out the proposal of a party to a marriage as to the way in which an HDB matrimonial asset is to be divided between the parties.If you and your spouse have agreed on what to do with the HDB flat after the divorce, you must file an Agreed Matrimonial Property Plan. An Agreed Matrimonial Property Plan is a plan, signed by both parties to a marriage, setting out the parties’ agreement as to the way in which an HDB matrimonial asset is to be divided between the parties. The documents must be filed or sent to the court through the e-Litigation system. You can access e-Litigation by heading to the Lawnet & CrimsonLogic Service Bureaus and filing the documents at the Service Bureaus. If the documents are in order, the Family Registry will accept your documents for filing and will affix the documents electronically with the Court seal. The sealed copies will then be given to you. Personal service – Personal service is effected when the documents are handed to your spouse directly by someone authorised to do so, such as a process server of the Court. Registered post – Service by registered post is effected when the documents are sent by pre-paid registered post to your spouse and your spouse signs and returns the Acknowledgment of Service to you. E-Litigation on your spouse’s lawyer – If your spouse has a lawyer, you can get your spouse’s lawyer to accept the documents on your spouse’s behalf by filing and serving the documents on your spouse’s lawyer electronically through the e-Litigation system. Your spouse must complete the Acknowledgment of Service and return it immediately to your lawyer or to you (if you are unrepresented). Next, check that your spouse has filed a Memorandum of Appearance if he or she wishes to be heard in the divorce proceedings. If your spouse has been served the divorce documents in Singapore, your spouse must file the Memorandum of Appearance within 8 days from the day on which your spouse receives the divorce documents in order to be entitled to be heard in the divorce proceedings. If your spouse has been served with the divorce documents outside of Singapore, your spouse must file the Memorandum of Appearance within 21 days from the day on which your spouse receives the divorce documents in order to be entitled to be heard in the divorce proceedings. You may find yourself in a situation where you are unable to locate your spouse due to desertion or an extended period of separation from your spouse. Fret not, you still have the options of applying to Court for substituted service or dispensation of service on your spouse. #2. Your spouse has received the divorce documents but has chosen to ignore them. In this situation, your spouse may have been served the divorce documents, but may be unwilling to get involved in any way and may choose to ignore the divorce documents. In this case, you are allowed to ask for a divorce hearing date by filing a document known as the Request for Setting Down Action for Trial. The Court may proceed to fix a divorce hearing date and grant an Interim Judgment in your spouse’s absence if you have successfully satisfied the Court that your marriage has irretrievably broken down. The Interim Judgment is a provisional order for divorce which will be made final after three months. The grant of an Interim Judgment marks the end of the first stage of your divorce. After an Interim Judgment has been granted, you will then proceed to the second stage of your divorce which concerns the ancillary matters of a divorce such as custody of and access to the children (if any) to the marriage, the division of matrimonial assets between you and your spouse and maintenance for your children (if any) and/or wife. If your spouse is served the documents in Singapore, your spouse must complete the Memorandum of Appearance and file it in Court within 8 days from the day on which your spouse receives the divorce documents. If your spouse is served the documents outside of Singapore, your spouse must complete the Memorandum of Appearance and file it in Court within 21 days from the day on which your spouse receives the divorce documents. All documents can be downloaded from the Family Justice Courts’ official website. The entire duration of a divorce proceeding is at least 6 months. It will take longer if the case is more complex or there are more issues to be contested. A lawyer cannot represent both parties. If, for example, the wife has engaged a lawyer and the husband has agreed to all the terms of the divorce, the wife’s lawyer will still have to advice the husband to obtain independent legal advice i.e by seeking advice from another lawyer. If you have any question about family law, you can get a Quick Consult for a transparent, flat fee of S$49. You can expect a call back within 1-2 days on the phone to get legal advice and have your questions answered. Alternatively, you may wish to request a quote from Su Ann for your queries. The information contained in this article is provided for general information only. Nothing contained in this article is intended to constitute legal advice, nor does it create a solicitor-client relationship. If you need legal advice, please contact a solicitor directly. This article is written by Yeoh Su Ann from Lalwani Law Chambers and Joseline Yu. 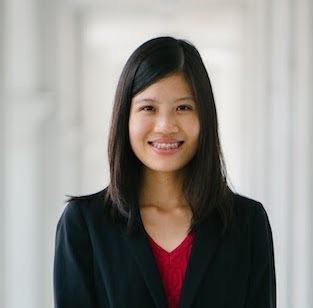 Su Ann is involved in work relating to various aspects of matrimonial and family law, including applications under the Mental Capacity Act. She empathises with her clients and aims to find suitable and effective solutions to her clients’ legal problems. Second opinion for legal advice -- should you get one?